Don’t get me wrong, summer should still be full of lazy afternoons or busy of just doing nothing. Last year we decided to change things up a little and started a new summer challenge tradition, where every day we challenged kids with the real life tasks. We are sharing some of our favorite ones (and the most successful ones). My daughter was so excited at the end of the summer to share with her friends THE REAL STUFF that she did. I felt like it boosted her confidence, gave a lot of experience and overall made an adventurous summer without even leaving town much. It’s perfect for those rainy days or days when it’s just too hot to go outside. Find an old computer, laptop, VCR or any other electronic device (or buy one at local thrift store for dirt cheap). Cut the cord off, give a screw driver and let them dissemble the piece. Get ready for an afternoon of complete quietness and a feel of focus in the house. Of course, parent supervision is important. And if this challenge is scaring you, then there is a great alternative. 2. Climb a tree (or two). When I was young we climbed trees, houses and anything else could have us above our own height. Climbing trees is actually very beneficial to kids. It not only helps their physical strength, but it also builds creative thinking. My daughter has been a tree climber for few years now. She barely can pass a tree on our walk without temptation to climb it. 3. “Walk in someone else’s shoes”. Spend 1 afternoon in someone else’s shoes to really understand what those other people (especially kids) are going through. There are many ways to do this. You can just pick different “challenges” and talk about it or you can physically try to get into it. For example, I used ribbon and tied Sofia’s arm to the side so she can’t move 1 arm and asked her to go on with her daily activities she was gonna do. Later we had a talk and she admitted how much more appreciative she is was of her body. 4. “You are in charge”. We love having YES day in our family, so we decided to “upgrade” it and we took it to a whole new level. We let our almost 7 year old daughter be in charge for the entire day. Before it we had a lot of talk and explained that it takes a responsible person to be in charge of the whole family. She accepted the challenge and was super excited. She decided what was for breakfast, lunch and dinner. She had to make sure sure all the morning chores were done by everybody, she made sure everybody was properly dressed (including herself and her little brother). She had to pick out the activities for the day. Me and my husband tried to stay by her side and let her make all the decisions while fully supporting them. While there were couple of “questionable” decisions, overall she did very well. This one is a similar to challenge Nr. 4, which involves kids making important every day life decisions. (We haven’t done this challenge yet). I will help my daughter make the grocery list for the week. I will give her the list of things we need for the week. She will have to check what things we have and we we need to buy. Then we will head out to the farmers market to get fruit, vegetables and dairy. She will be in charge of finding the right head of lettuce, crossing it off of the list and paying for it (including getting correct change back). Later we will head out to the market and get the rest of the stuff. I will be basically just following her around and helping her if she needs anything. (like getting a can of beans from a top shelf). Excited to see how it goes! My kids love helping me in the kitchen. We make pancakes, fun pasta salads. But they have never made a meal all by themselves. According to the research kids eat better and form healthier eating habits when they start cooking their own food before eight years old. 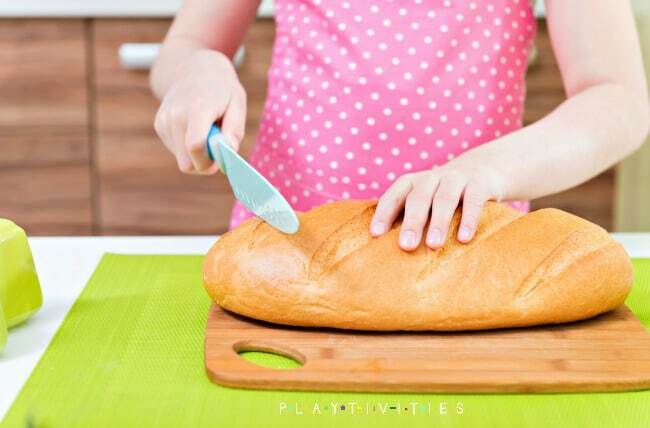 They are more likely to cook a meal from scratch 5 times a week if they start cooking as kids. Cooking when young builds skills for later in life – and sets a kid up for making healthier food choices. With the summer full of free time, encourage your kids to donate some of their time for charity. Weekly help at the local food bank is my daughter’s favorite. While it’s good to teach kids to donate their clothes and toys, sometimes it’s good to show them “business” side of it too by encouraging them to have a garage sale to sell the stuff that they don’t use anymore: clothes, toys, books. I helped my daughter organize her first garage sale this spring. She made some handwritten signs and placed around the neighborhood. She got all the stuff out on the front lawn and placed it on the blankets. She priced every item herself and waited for the customers. We explained her that it’s important to get the best fair price which sometimes means she can go down a bit. She can offer a discount if they buy more. She can offer similar items. She can even exchange for things that she wants. She had a great time while meeting some new neighborhood kids and enjoyed being in charge of the selling part. Learn a song or a poem in different language. Last summer my daughter has decided to learn “Frozen International” song which was sung in 20 different languages. It wasn’t easy, but she did it little by little. It did take her 2 months, because she learned one line a day. Later she was so proud to sing a song in 20 languages, even though it wasn’t perfect! Offer an older camera or a phone to your child to document all those challenges they will be facing all through the summer. At the end of the summer challenge them to make a documentary using kid friendly video editing software. 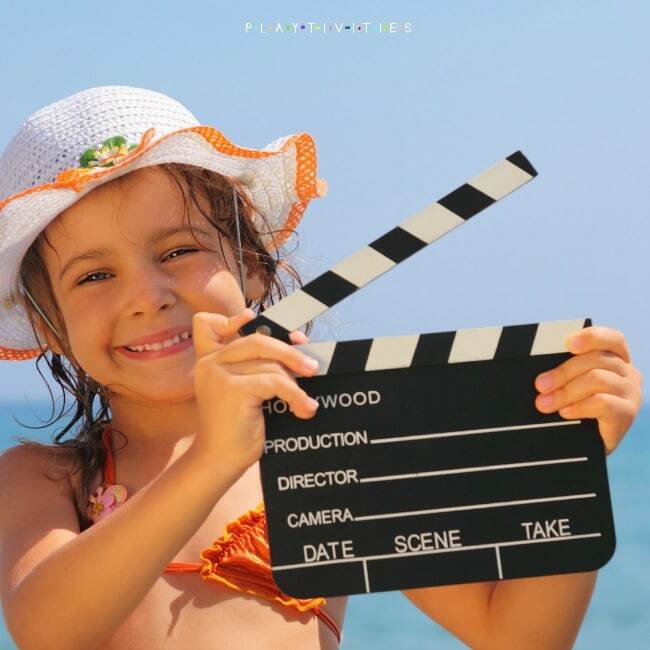 Windows movie maker or iMovie (vjay perfect for iPad) is pretty easy for kids to understand. I guarantee you, you will end summer full with pride, accomplishments, a ton of empowering moments that will greatly influence their future. 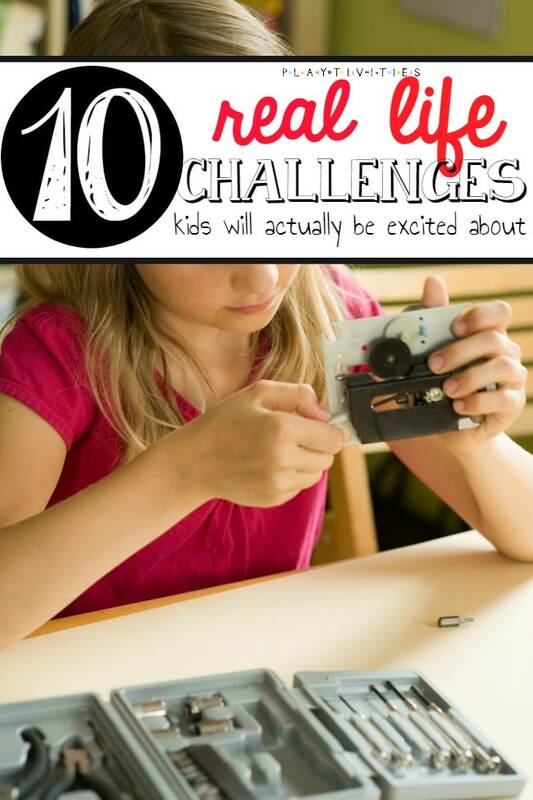 So which challenge(s) will you pick with your children? Or share YOUR challenges with us because we always want MORE.